Let her transfer into a mermaid when she's wearing these Unionbay Shine slide sandals! This style features a multicolor reversible sequin upper that changes colors when you swipe up. 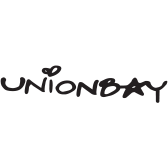 The Unionbay Shine slide sandals have a padded strap and a contoured footbed to keep her comfortable.